These last two weeks have been a bit weird. 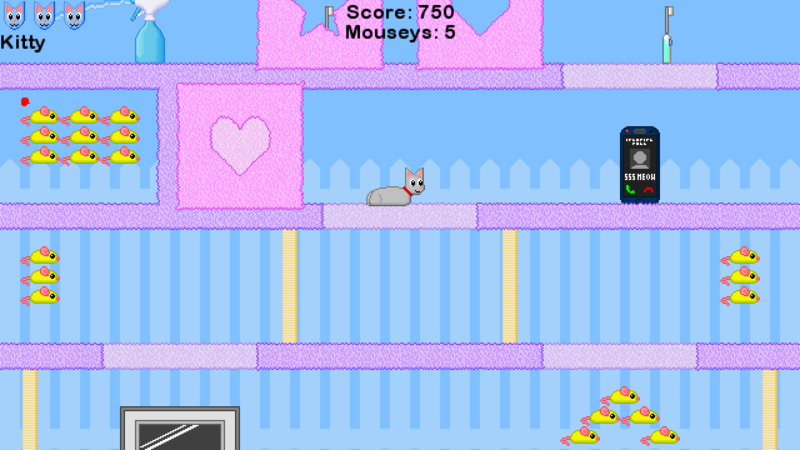 Maybe it’s because I’ve been focusing on working in game mechanics into “Cat Project” and I was getting a bit tired of it, but I’ve been adding in sillier things into the game recently. The “loaf position” with serve other purposes in the future, other than being cute. The above GIF is just me testing the cat paw being drawn at different angles and lengths. It will be part of the finalized main menu. Like the laser pointer, balloons do not harm Kitty, but he can smack them around using uncharged swats. Charged swats will destroy them. They’ll probably serve as bouncy item containers in the final game.